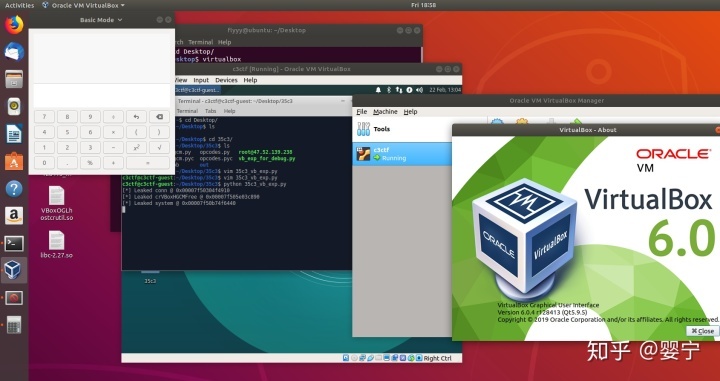 Please escape VirtualBox. 3D acceleration is enabled for your convenience. No need to analyze the 6.0 patches, they should not contain security fixes. Once you're done, submit your exploit at https://vms.35c3ctf.ccc.ac/, but assume that all passwords are different on the remote setup. Challenge files. Password for the encrypted VM image is the flag for "sanity check". UPDATE: You might need to enable nested virtualization. 88  ../sysdeps/unix/sysv/linux/futex-internal.h: No such file or directory. 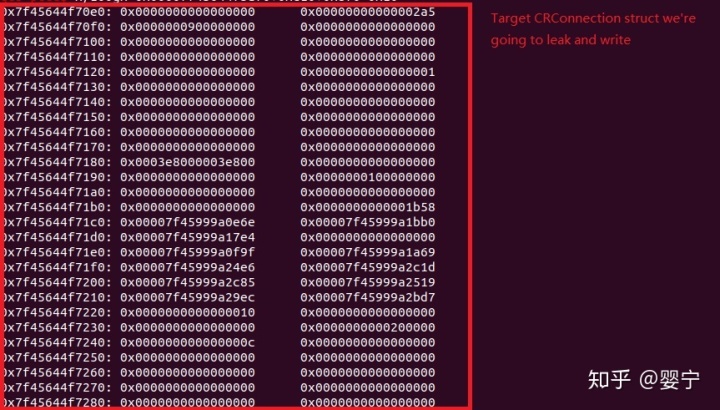 # This will allocate a CRClient and CRConnection right next to each other. # Set pHostBuffer and cbHostBuffer, then read from the Chromium stream. # TODO maybe spray even more?